Pani Rani or "Water Princess," is from India and grew up in a dry place so she knows water is precious for all children around the world. She cares about conserving water and knows we can all do our part. Saving water really does make her feel like a princess. 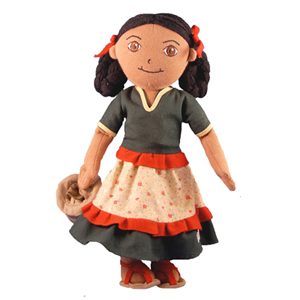 Rani is the perfect best friend for your little loved one and is a great imaginative gift for everyone who cares about the planet. Rani comes fully accessorized wearing a colorful South Asian dress with coordinated hair ribbons and sandals and carries a small fabric bucket that can be attached to her hand.